MOR Music Awards 2016, presented by M.
O.R. 101.9 FM radio, was held at the KIA Theater. Check out the winners! Kim Chiu's song "Mr. 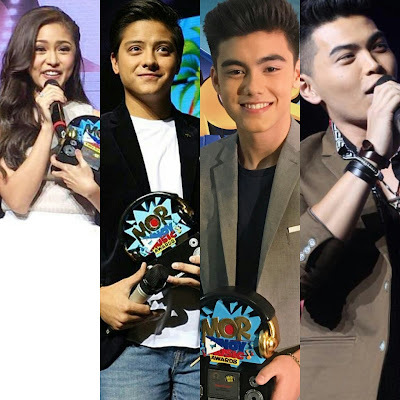 Right" deservingly won LSS Hit of the Year, Daniel Padilla was Phenomenal Artist of the Year, and Bailey May was named Best New Artist. Daryl Ong meanwhile took the honor Best Revival Song for 'Ikaw Na Nga'. Darren Espanto, James Reid and Nadine Lustre weren't present to personally receive their awards. JaDine won Best Collaboration for 'Hanap Hanap', James was male Artist of the Year and Darren's self-titled album was recognized as Album of the Year. 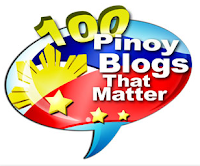 Other winners were Morrisette as Female Artist of the Year, Thyro and Yumi's "Trianggulo" as Song of the Year, Kurt Fick's "HAHAHAHAsula" as Regional Song of the Year and Sir Rey Valera as OPM Achievement Awardee.